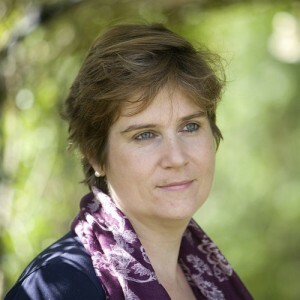 Gwen van der Velden is Director of Learning and Teaching Enhancement at the University of Bath, a University which is consistently in the top ten of every national ranking for teaching excellence. Gwen has more than 20 years experience in higher education. She has worked at the Radboud University (Netherlands) until 1995, University of Kent until 2006 and the University of Bath since then, leading teams of academic staff developers, student learning advisors, quality officers, e-learning developers and teaching innovators. Gwen van der Velden holds various national roles including membership of the HEFCE Steering group for the review of the National Student Survey and Information Provision for Students, the HEFCE/NUS initiative Steering Group for the Student Engagement Partnership Unit, Planning Executive of the Standing Conference for Academic Practice (SCAP) (since 2007), Planning group member and former chair of the Heads of Educational Development Group (since 2005), former Chair of the Learning, Teaching and Quality Network of the 1994 Group (since 2010), Jorum Steering Group (since 2011), QAA Advisory Group on Student Engagement (2012). Gwen is also internationally active, specifically with India through the British Council, including visits, workshops and presentations on e-Learning, quality management and organisational change. She has led a successful British Council bid in 2012 for longer term establishment of e-Learning networking and partnerships (KEP strand).